The films of Dario Argento are famous for many reasons; the direction, the blood and the music. And it was Claudio Simonetti’s progressive rock group Goblin that defined the sound of his early work. Goblin forged new ground; being the first rock band to soundtrack the thriller/horror genre. It was a gamble that paid off for band and filmmaker alike. 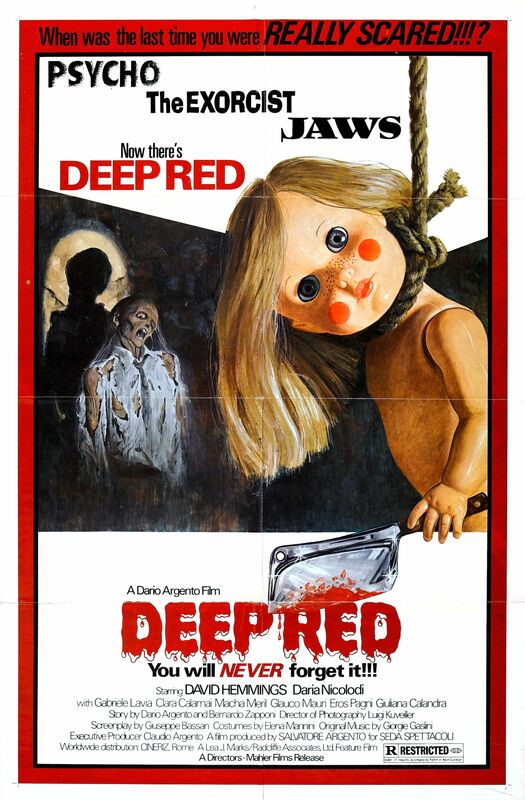 Their first work, on Argento’s film, Profondo Rosso (‘Deep Red’) was a huge hit, selling almost 4 million copies worldwide. The band would go on to soundtrack other cult classics, such as Argento’s follow-up, Suspiria, and George A Romero’s Dawn of the Dead. Forty years after their debut film work, founding keyboardist Simonetti is coming to London to perform the soundtrack live in accompaniment to a screening of the film at the Barbican on 21stFebruary. In preparation of this appearance, I convened with Simonetti to talk about those early days, the processes involved and the problem with modern soundtracks. It was a fascinating window in the world of music and film. What inspired you to first pick up the keyboard? I started playing the piano when I was 8 years old. My father was a famous musician in Italy, so I grew up around music and started to play the piano at a young age. Then later, I did classical music studies at the conservatory of Rome and, at the same time, I also played keyboards with bands. I had these two different types of music; classical and rock. Is that where the progressive elements of Goblin’s music came from? Is it down to the classical influence? Yes. Especially in the 70s, there was something between classical and rock. Bands like Deep Purple, Emerson, Lake and Palmer and many others used classical music and classical style. I think that all the keyboards players of the 70s, they arise from classical studies. Maybe not for the guitar players or drummers, but keyboardists, for sure. Do you feel that the connection between classical music and rock is not so common now? Yes. It’s quite different now, except for the prog bands like Dream Theatre; bands like that are still playing in the same style of the 70s. In the 70s, there were lots of keyboard players that were famous, like Rick Wakeman, Keith Emerson and so on. Now, the keyboard players are a figure that is less important. Plus, thanks to the computer, many guitar players, drummers etc can now play piano, synthesizers etc. You don’t need to be very technically prepared. Now, everyone can play because the computer plays it instead of you. In the 70s, you never had a chance to record unless you could really play. For this reason, I think bands like us are coming back, because all of the younger generations want to see a certain kind of musician that may not exist again. How do you feel about the soundtracks of the modern era? I see many, many films, but there is no music that remains in my mind. In the 60s and 70s, if I saw a film, I’d say, ‘Wow, this music is beautiful’, like Star Wars or the Exorcist. Now, I go to the cinema and I see many films – very good films – but the music is just background music. It’s nothing special. In the 70s and 80s, we had main themes that remained in the story, like Dr Zhivago, Love Story and so on. I don’t know why, but maybe it’s because it’s not easy to create something new. What music influenced you at the time that you wrote the soundtrack for Profondo Rosso? When we did Profondo Rosso, we were influenced by bands such as Gentle Giant, Yes, King Crimson, Deep Purple and Emerson, Lake and Palmer. In that soundtrack, you can hear all the rock sounds of the 70s, not in Suspiria. I think that Suspiria contains the most innovative work of Goblin. It feels like two different bands made the soundtracks to those two films. In Profondo Rosso, you can hear music that is very similar to a lot of English bands of the 70s, but not in Suspiria. We created our own sound and Suspiria is Dario’s most famous film – even if my favourite is Profondo Rosso; I think it is one of the 10 best films in the history of the thriller genre. Do you feel that the leap into working with film opened up your creativity? We were one of the first bands to do a soundtrack. When we started with Dario Argento, we created something new; a rock band working on a thriller. With Suspiria, we had a challenge to do something different, because Dario said, ‘I want something really different. I don’t want Profondo Rosso. I want something that will make the audience feel as though the witches are still there.’ So the approach was completely different. Yes, it was a beautiful and great challenge. I started with Profondo Rosso. It was my first important work and my first soundtrack, and Suspiria was the second. I had two great films for the beginning of my career! How did you come to be involved with Profondo Rosso? When Dario Argento came to do the soundtrack for Profondo Rosso, he asked the producer to call bands like Pink Floyd, Emerson, Lake and Palmer and Deep Purple. At the same time, we had signed a contract with the same label that was also the publisher of Dario Argento’s films. We were lucky, because we were in the right place at the right time. The producer said to Dario, ‘Before we call these big bands from England, I would like you to listen to this band that I am recording now in Rome’. Dario came down to the studio where we were recording the album Cherry Five (the band’s debut album) and he loved our music, so he said, ‘Yeah, okay, let’s try these young boys to write the music for Profondo Rosso’. It was incredible. I was the oldest. I was 22 years old. And Dario was a big star. Can you imagine a big director putting this in the hands of young boys? Would that even happen now? He was lucky to find us – of course, we were very lucky too – but also for him, because we wrote a soundtrack that sold almost 4 million copies. Yeah, I don’t know why! After just 10 months of the release, we had sold 1 million copies of the album. And I can’t tell you why. In Italy in the 1970s, people used to listen to pop singers, not to gothic or prog rock. Rock was still an underground music. It was a strange thing. It is a strange thing that after 40 years we are here talking about this! 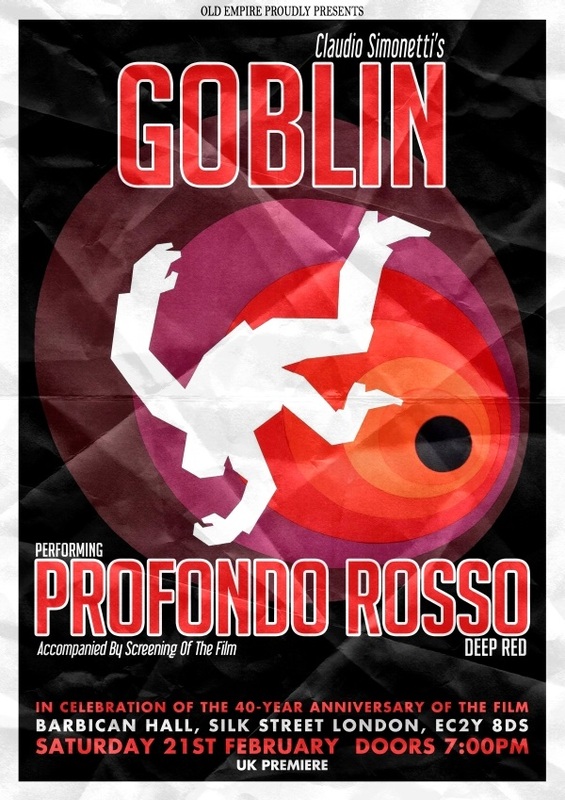 How did you approach the writing of the music for Profondo Rosso? When Dario called us to write the music for Profondo Rosso, it was our first experience. We were very scared to have this heavy work. We had no experience, but there was something that just came out from our souls. We didn’t write over the scenes. We just wrote some songs and the editors cut the music and inserted it over the film. I don’t work in this way now, because of the advances with computers, I can write the music exactly over the scenes, but in the 70s, we saw the films in a studio first, just to inspire us. Dario Argento gave us a lot of records to listen to and he helped us out a lot, especially with Suspiria; he said exactly what he wanted. Would he come and visit you in the studio whilst you were writing the songs? Oh yeah, a lot. He would come and stay with us, listen to the music and say, ‘this is good, this is not good’. What sort of direction would he give you? With Profondo Rosso, we went to his house to listen to the records, talk about the music and then, after we started to write the music, we did demos in a studio at my house. Afterwards, we would then record it all in a big studio, but Dario loved the demos. How has your relationship been maintained with Dario for so many years? Dario is a very good friend of mine. This year is the 40th anniversary of Profondo Rosso, so it’s 40 years that I have known Dario. I have done 14 films with Dario, and in the summer we will start The Sandman (starring Iggy Pop). Sadly, it was at this juncture that our conversation was cut short. A failure of technology ensured that this question was left hanging in the air, as our Skype connection abruptly ended, never to return. One thing is for certain though, Claudio Simonetti is set to return to the UK and, more specifically, to the Barbican, for his hotly anticipated live performance of his band’s seminal work. This entry was posted on 16/02/2015 by toomuchnoiseblog in Reviews and tagged barbican, cherry five, claudio simonetti, dario argento, dawn of the dead, deep purple, emerson, Film, giallo, goblin, Greg Wetherall, Horror, Interview, king crimson, lake, music, palmer, pink floyd, profondo rosso, soundtrack, suspiria, thriller.